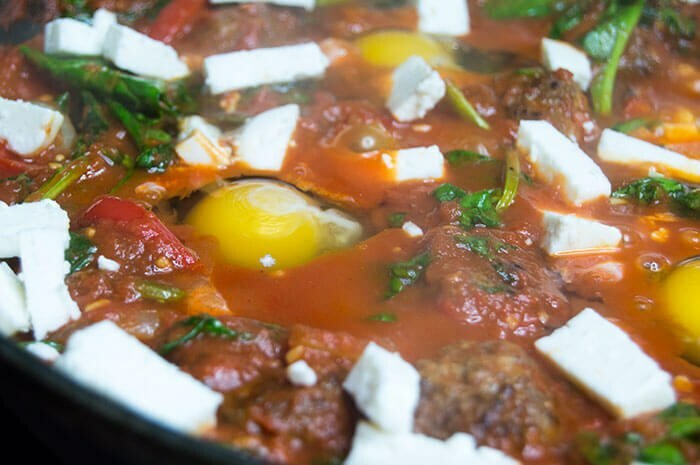 Shashuka is an Israeli breakfast dish that involves poaching eggs in a spicy tomato sauce mixed with veggies and feta cheese. It's also the perfect excuse to make breakfast for dinner! I decided to change it up a bit with my shashuka and added some saffron infused lamb meatballs and some spinach to the mix. Possibly the best part about shashuka, aside from the fact that its dangerously delicious, is that it can be made in a single skillet. It's important to use a cast iron skillet or a skillet that can be popped into the oven when the time comes to add the eggs. 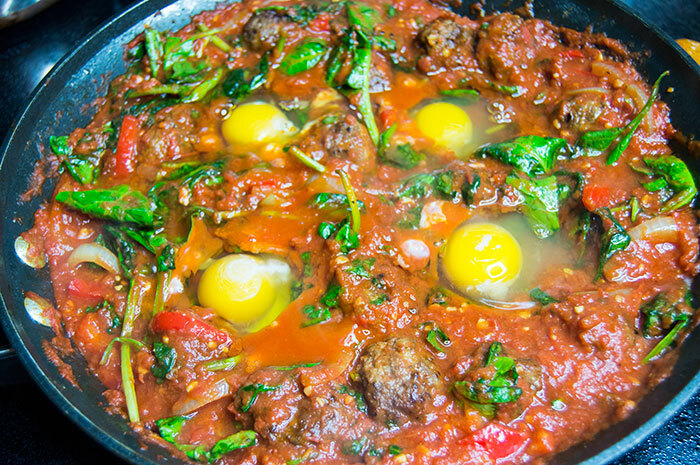 Start by creating the lamb meatballs then adding them to the skillet with some ghee. Brown the lamb meatballs evenly on all sides - it's okay if they are still a little pink in the middle, they will continue to cook a little once removed from the pan, and then some more when you return them to the skillet to poach the eggs. Once the meatballs are sufficiently browned, remove them from the pan but use the remaining ghee to saute the peppers, onions, and garlic. 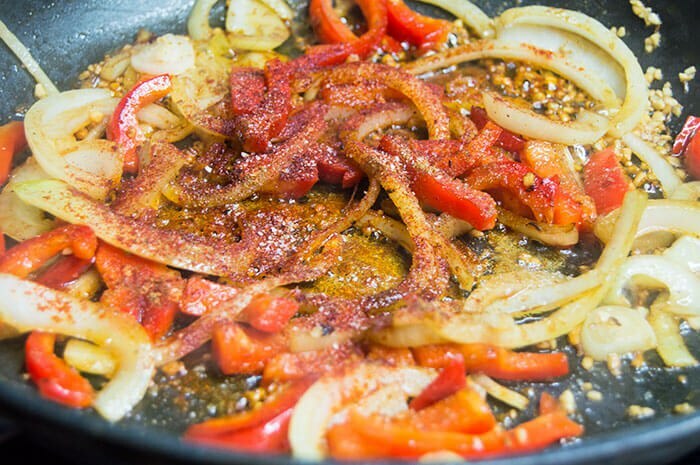 When the onions are soft, add the paprika, cumin and a pinch of cayenne pepper to the skillet and stir into the onions and peppers. Reduce the temperature for a few minutes, so when you add the tomatoes, they don't sizzle and spatter all over the place! 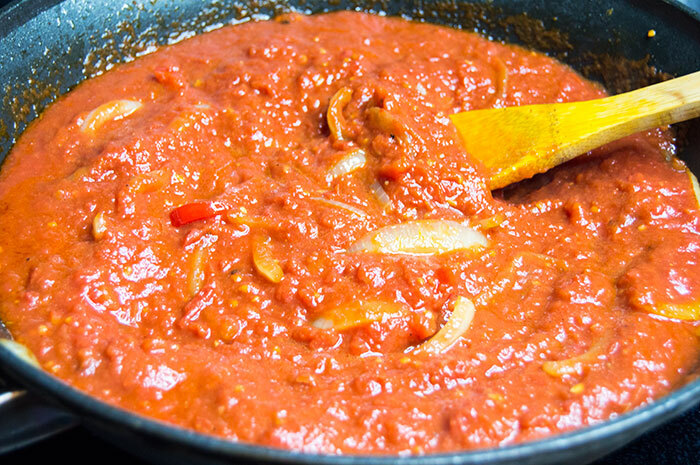 Carefully pour in the tomatoes and stir until the onions and peppers have been incorporated and the tomatoes are heated through. Then add the spinach to the skillet - if you use spinach from frozen, be sure to let it thaw and wring out as much of the liquid as you can. When the spinach is nice and wilted, add the lamb meatballs back to the skillet and mix into the sauce until they are completely covered. Make some small divots in the sauce between the meatballs and crack an egg into each. 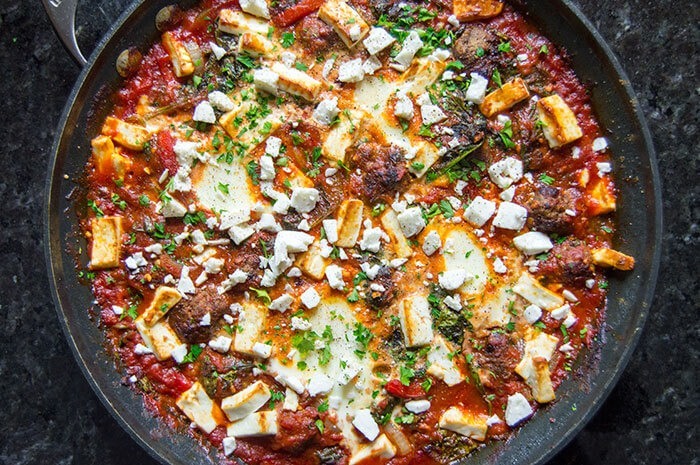 Sprinkle the top of the shashuka with feta cheese. Bake the shashuka in the oven for ten-ish minutes or until the eggs have set (or reached your desired doneness). I love my eggs runny, so I only cooked mine for about ten minutes - for harder yolks, cook up to twenty minutes. 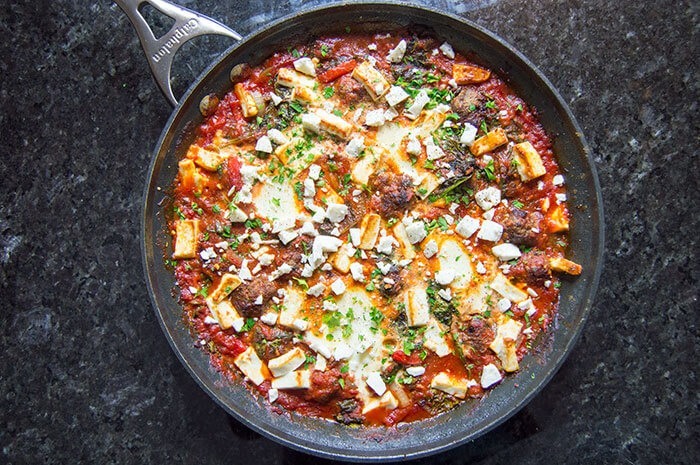 I served up my shashuka with a few pieces of pita bread and a fresh sprinkling of feta cheese. 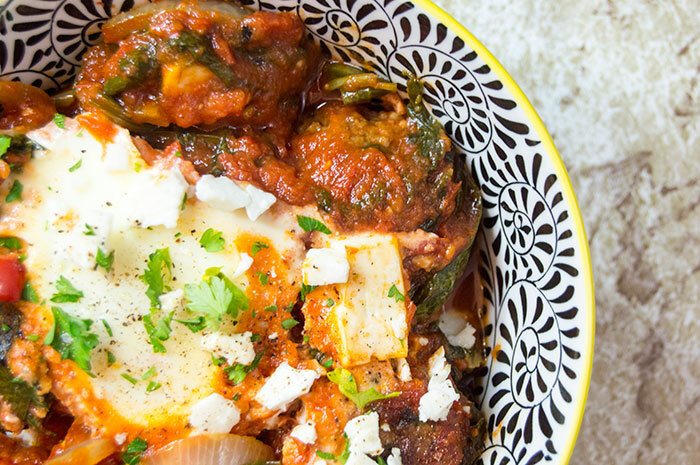 Even though in Israel shashuka is considered a breakfast dish, we thoroughly enjoyed eating it for breakfast, lunch, and dinner all week leading up to Christmas (or Hanukkah, if that's your thing - Shabbot Shalom!). Preheat the oven to 350 F. In a bowl, mix together the ground lamb with one tablespoon of paprika, cumin, coriander, cinnamon, fresh parsley and a half tablespoon of red pepper flakes. Add the threads of saffron and use your hands to combine completely. Melt two tablespoons of ghee or butter in a large skillet over high heat. 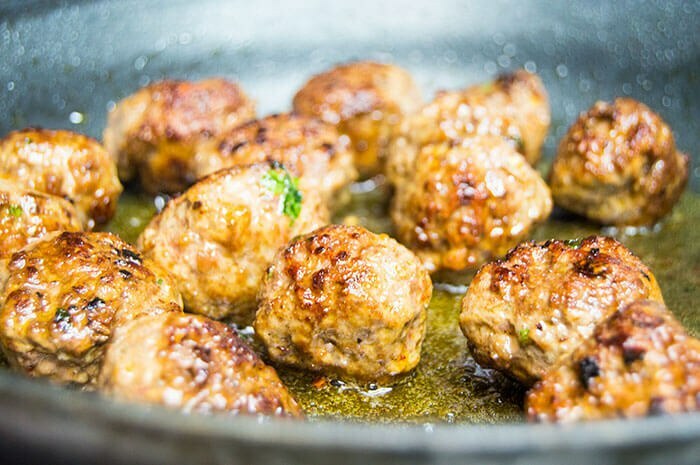 Roll the lamb meat into one inch round meatballs. Place the meatballs in the melted ghee and cook, turning occasionally, until browned evenly on all sides. Remove the meatballs from the skillet and set aside. Reserve any remaining ghee in the skillet. 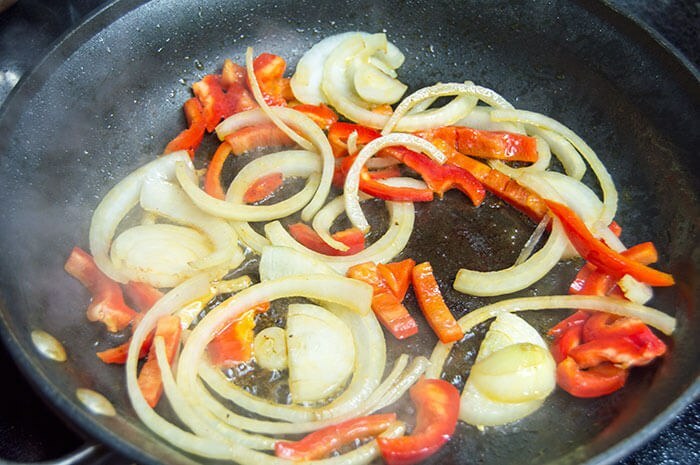 Add the sliced onions and red peppers to the skillet and cook until softened. Add the garlic and remaining paprika, cumin, and coriander, Stir until the onions and peppers are covered in the spices. Reduce the heat to medium low. Pour in the tomatoes and stir into the onions and peppers. When the tomatoes are heated through, add the spinach to the skillet. 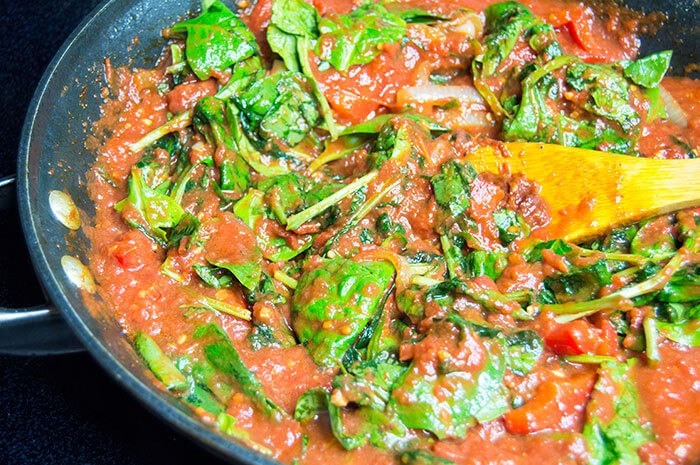 Stir until the spinach has wilted into the tomatoes. Add the lamb meatballs back to the skillet and stir until covered in tomatoes. Create small divots around the meatballs and crack an egg into each hole. 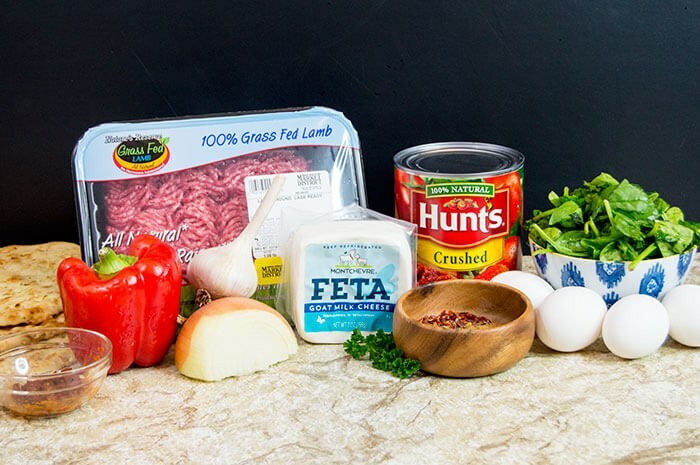 Sprinkle crumbled feta cheese on top of the whole skillet. Season with salt and pepper, then pop into the oven for 10 minutes for runny yolks, 15 minutes for soft yolks, and 20 minutes for hard yolks. 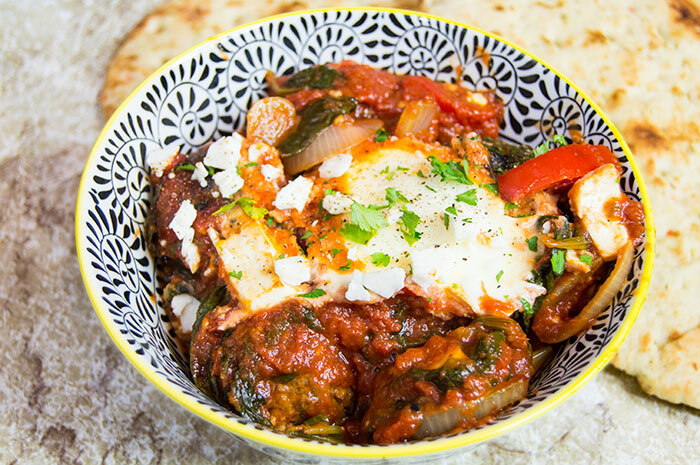 Serve shashuka for breakfast, lunch or dinner with a side of pita bread and tahini. Enjoy!